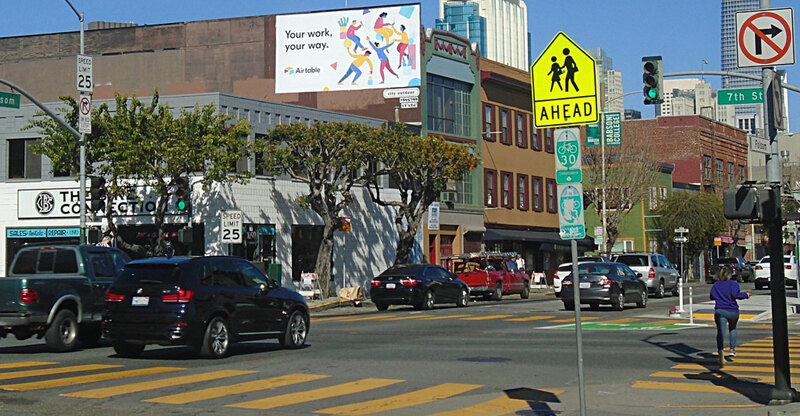 This prime wallscape is located in the highly desirable SoMa neighborhood, facing four lanes of one-way traffic at a controlled stoplight. This area is thriving, with some of the best nightlife and dining destinations in the city frequented by the young, affluent demographic that live and work in the area. The Embarcadero Center and AT&T Park are less than two miles down the street.